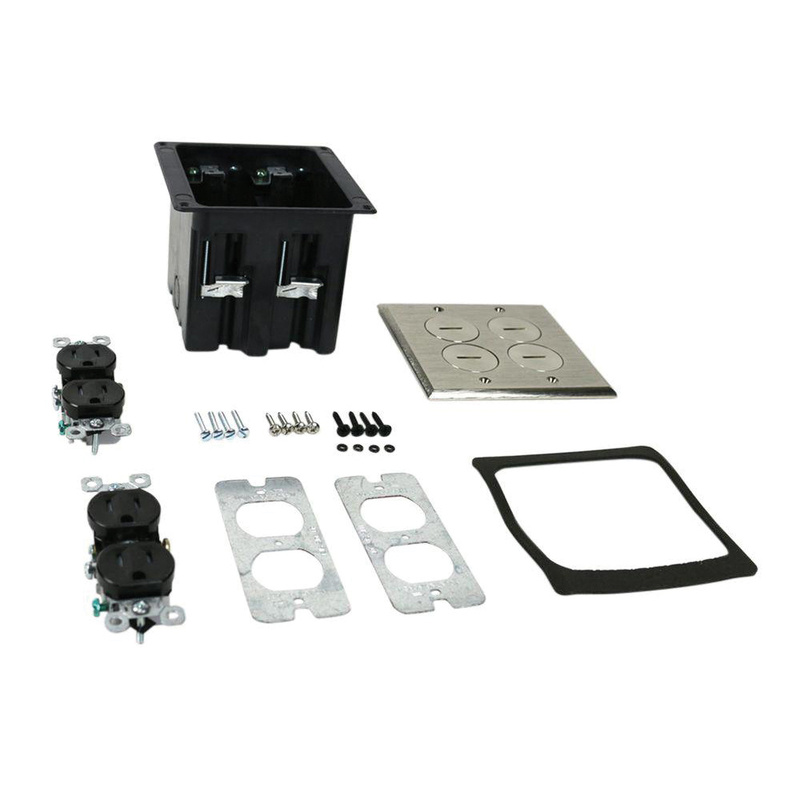 Wiremold 2-Gang floor box assembly includes nickel cover with four screw plugs, 2-Gang box, two 15-Amp 125-Volt tamper-resistant duplex receptacles, 3-3/4-Inch x 3-1/4-Inch box and 5-1/16-Inch x 4-7/8-Inch device plate. This rectangular floor box assembly features two 1/2-Inch knockouts at bottom and two 1/2-Inch knockouts at side. It comes with two 15-Amp duplex receptacle configuration. Floor box assembly is cULus listed. * Inventory displayed is accurate as of 04/24/2019 23:40 PDT.